-- Not having a care in the world, and endless energy! I remember being able to play outside for hours, now I get exhausted watching William play lol. -- Playing Red Rover, and climbing on the giant wooden play-scape that our school had. -- Honestly, I don't remember the answer from when I was really young :( But I always wanted to be Lizzie McGuire when I was in Middle School. -- I cried a lot as a kid.... like all the time. We have home videos and it would be me crying and my parents would say, "there's Hilary, she's crying again". When William throws a temper tantrum my parents say his Hilary is showing. Hey found your blog through Sunday Social! 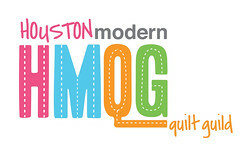 I just starting quilting last year so it's cool to see another blogger quilting! My friends and I used to watch Lizzie McGuirre everyday! In high school we signed each others year books with You Rock Don't Ever Change! Ahh Lizzie Mcguire. What middle schooler didn't want to be her? !